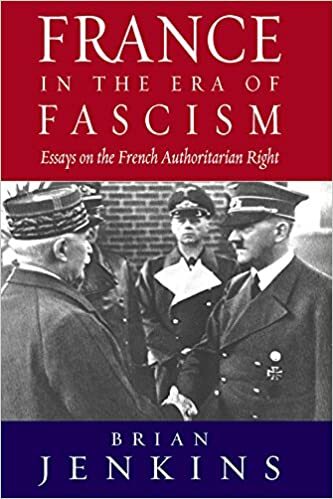 Amazon.com: France in The Era of Fascism: Essays on the French Authoritarian Right (9781845452971): Brian Jenkins: Books. On Jan 1, 2007 Andrzej Dziedzic published: France in the Era of Fascism: Essays on the French Authoritarian Right by Brian Jenkins. ... Tallett (London: I. B. Tauris, 2003), 185. 14. Zeev Sternhell, Ni droite, ni gauche: L'idéologie fasciste en France (Paris: Éditions du Seuil, 1983); and his “Morphology of Fascism in France,” in France in the Era of Fascism: Essays on the French Authoritarian Right, ed. Brian Jenkins (New York: Berghahn Books, 2005), 27.